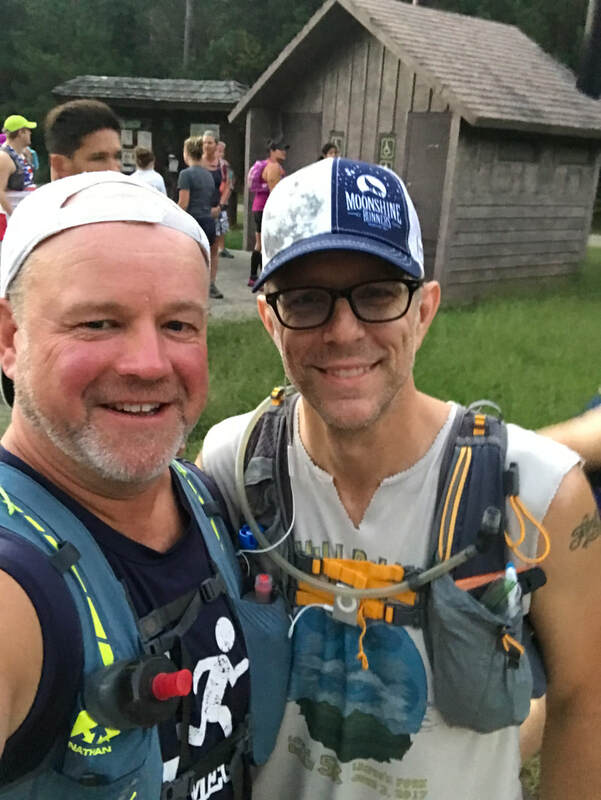 Last Saturday, I lined up to run the 35 mile Georgia Jewel. You likely know that already if you're reading this. You know it because I've been talking about this race for 5 months. I've been training for it and dreaming of crossing my first ultra marathon finish line. For 15 days leading up to this race, I wrote a countdown series - (Countdown to the Georgia Jewel). And to be honest, I intended the conclusion to that series to be much different from what you are about to read. I planned to share what it feels like to be an ultra marathoner. Today, the reality is, I have no idea how that feels. "That is my journey today. To feel small. To discover that my faith is bigger than myself, it's bigger than the words I cling to in the bible. Me and those words - we are mere reflections of the larger than life God who loves me. The God who will see me through this day, and triumphantly through this race." ​​When I posted that, I knew what triumphantly through the race would look like. But in the end, I didn't finish the race. My picture of triumphant was dead. But driving home yesterday, God started to draw a different picture of triumphant for me. He helped me discover a faith bigger than myself. One of the scariest things about facing the 35 mile Georgia Jewel is the 45 minute bus ride to the starting line. It feels like it goes on forever. As each mile ticked away, as I felt the bus fight to climb the hills to get there, I found myself startled by this reality: I somehow have to run back to where we just came from. As we stood at the starting line, that reality was brightened by the fact I was surrounded by friends. People who were equally daring to tackle something beyond themselves. And in that moment, we were all still - all smiles. I interviewed Gregory Byerline on my podcast prior to the Georgia Jewel. He's become a great friend, a meaningful part of my life. An interview with Gregory Byerline. This journey would not have been complete without Nicole, Lori and Andy. Their efforts leading up to and during this race will remain sources of strength in my life forever. So grateful. Then we were off. When we started the weather was delightful compared to what the forecast said was on the way. It was actually cool and comfortable. I couldn't ask for more. I'd developed a plan going into the race. I had it in my pocket in a waterproof bag. The plan had mile times for each mile and pointed me toward a 12 hour finish. I knew after the trial run I'd never finish this race without a plan. One that would make me run slower in the beginning than I'd probably want to go. One that focused on finishing alive more than finishing fast. As we entered the first section of the Pinhoti trail a few miles into the race, the plan was going well. Part of the draw to the Georgia Jewel was the chance to discover parts of God's creation I'd never see elsewhere. There is power in this discovery. It's key to discovering a faith bigger than myself. As we climbed John's Mountain creation came alive. Early in the race God was already telling me - welcome to my world. We travel so much of our lives on roads so routinely and comfortably paved before us. Rarely do I personally venture off those roads. But this Georgia Jewel journey reminded me there is great reward in traveling the trails less traveled. ​Fuel for the imagination is so rarely found in what we can already see, what we can already imagine. Unfortunately, God's creation can come with heat and humidity. A dynamic duo that has a history of taking me down. About 12 or 13 miles into our run - the sun came out, the humidity soared - like stepping out of air conditioning and going directly into a sauna - and I knew the battle was on. I'd been drinking plenty, taking the calories in, and battling a fight I'd ferociously prepared for. I'd practiced with and found a drink that worked; I'd focused on pacing and managing my heart rate. Heat and humidity weren't ready for me this time. This was a new me. Only it was the old me. I quickly discovered, once again, I didn't stand a chance against the elements. I began to feel dizzy, weak and ultimately nauseous. At mile 15, the prospects of reaching the next aid station 3 miles ahead seemed impossible. I started wondering how an emergency rescue team would make it to where we were. 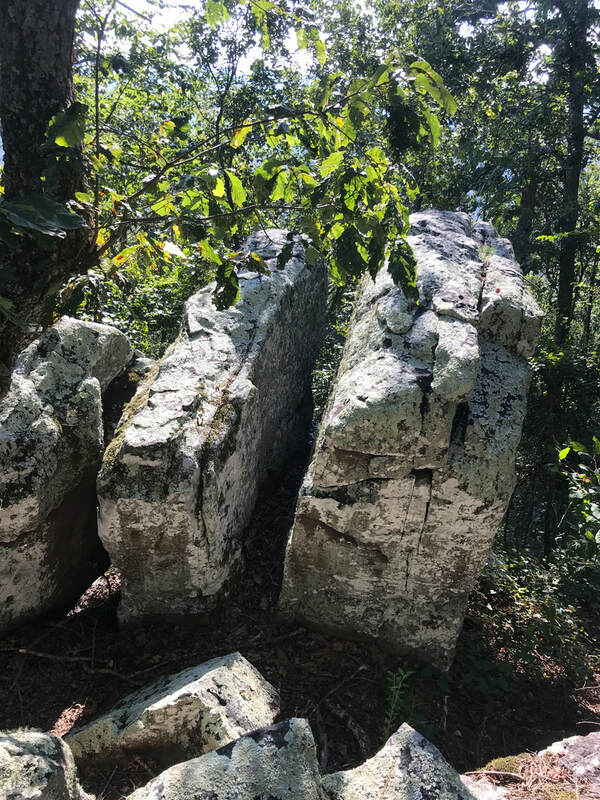 I felt like I was walking in my sleep, and at one point wondered if the Pinhoti trail was where I was going to go to sleep for the final time. Of all the misery I've experienced running, this was the most miserable misery ever. My friend Nicole asked me what I needed. I told her I needed cold water. I couldn't keep my hydration drink down. I knew I'd never make it to the aid station without getting something in me. She said she'd run ahead to the aid station and bring something back. I was too delirous to talk her out of it. I was also too far gone in that moment to adequately understand what she was about to do to help me. So she left. I sat down on a rock and rested my head against a tree. I fell asleep. I'm not sure how long I slept there, but I woke up and saw something coming toward me. I thought it was Nicole at first walking back with water. But as my head and eyes cleared, I realized it was simply a red flower. Not moving. Not carrying water. Runner after runner was willing to stop and offer what they had. I told them all no, that I was fine, that I was simply resting. But the compassion I experienced on that rock struck me. I managed to get to my feet. It started to hit me what Nicole was doing for me. I wanted to walk ahead as far as I could and take some distance off her trip back to me. I managed to get about a mile before I saw her coming. She handed me a bottle full of cold water. I suppose it would be dramatic to claim that water saved my life. But before I drank it I had no idea how I would make it to the aid station; now I suddenly felt like I could. 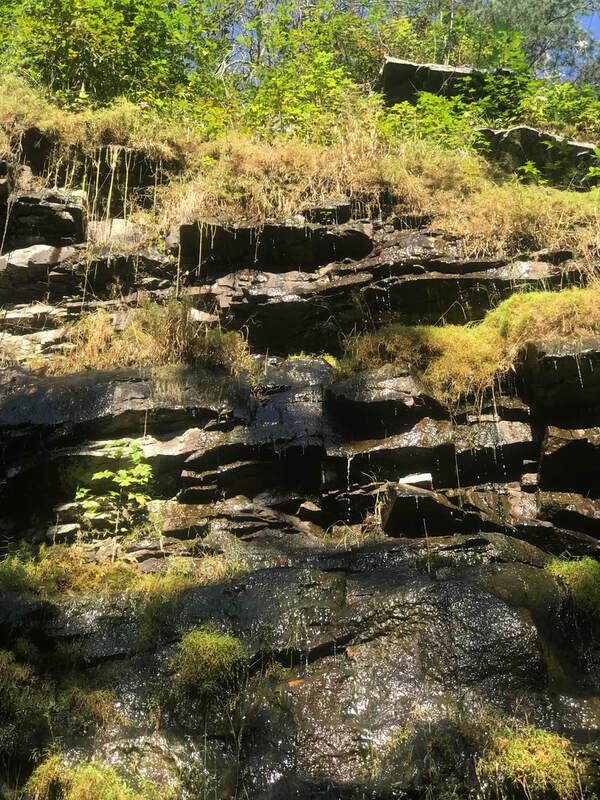 Going from thinking I was going to take my last breath on the Pinhoti trail to imagining a buffet of cold water at an aid station was at least a new lease on life, if not indeed life saving. It was a long hike, but we finally made it where it felt like we'd never get. The aid station at mile 18. Nicole had prepped the volunteers manning the station that I'd be arriving, and I'd be arriving struggling. These volunteers, like all the volunteers we encountered during this race, were some of the kindest people you'll ever want to meet. They sat me down in shade. Put a fan on me. Offered me food and drink. It felt like they had no other desire in their life but getting me ready to run on. Only, I knew there was no running on for me this day. I knew I was done. After prepping for this race for 5 months, after inviting everyone along on the journey, it was a difficult spot to accept. The place of knowing a dream is over - dead. The elements I once felt daring enough to tackle were now taunting me. They were telling me faith over fear's a meaningless life chant. They laughed at my mantra of dare greatly, as they watched me fail without an ounce of energy to do anything but take it. The elements won. And in that moment, they were kicking me when I was down, making sure I knew to never come back. My friend Nicole, though, she had my back. She was determined to run on. Even after putting in an extra 4 miles - much of it an uphill climb - she was still committed to taming that trail. It was a journey we'd committed to tackling together months ago. Now one of us was clearly done; but she was not. She had one final punch in store for the elements. A final taunt. As I watched her march into the woods of the second half of this race, I was proud. Astonished, but proud. We'd run this section of the race a few weeks earlier. Nicole knew how challenging this part of the course was going to be. She knew after spending a couple of hours helping me, she was up against the clock - up against getting this thing done in the daylight like she wanted. She had the perfect excuse to quit. Although I was sure I was going to be fine at this point, she could have used standing by me as the perfect excuse to end the misery. But I didn't need her, and she didn't want my excuse. What she wanted to do was what I've come to know she always wants to do: fight on. After I arrived back at the finish line, I headed back to the hotel to take a shower before I would head back to watch my friends finish their races. While I was showering I got a message from our friend Andy. She told me she had dropped too, and she was disappointed in herself. I felt sad hearing her say that. It was such a difficult day. So challenging. To cover 18 miles like she did, that was an incredible accomplishment. Disappointment felt so unwarranted. Thinking those words about her - that's when my healing began. That's when I began to stop beating myself up. I headed to the finish line of the Georgia Jewel, which includes a final sadistic climb. I have no idea what Team Baker was thinking when they added this uphill battle to the end of a plenty enough difficult race. But the final tenth of a mile or so comes almost straight uphill on a winding gravel road. Walking up it would seem impossible on fresh legs, let alone on legs torn up by 35 miles (or 50 or 100) of the mountains and valleys of the Pinhoti trail. I stood there with my friend Andy. We gave each other some encouragement about our failures, our inability to get it done on this day, then waited for our friends. When our friends arrived, a beautiful change in perspective came with them. I can't describe the pride I felt watching my friends achieve this victory. In failing myself, I knew how tough the task was. I knew how incredibly strong these two women were. Not just battling the course, but battling all the other elements that came at them this day. In focusing on others, I discovered the true sentiment of the Georgia Jewel. Throughout my journey to the Georgia Jewel, I referenced scripture. One in particular I referenced often. It's Matthew 17:20. In this scripture Jesus is telling his disciples if they had faith even the size of a mustard seed they could move mountains. I prayed over this scripture, quoted it, shared it with others, in hopes that when I conquered the Georgia Jewel, they'd see a God who can literally move mountains. Here's the thing about that scripture, though. Jesus told his disciples this when they asked him why he could heal people and they couldn't. Jesus told them their faith wasn't strong enough. They didn't take God serious enough. But when he was telling them what they could accomplish if they had his kind of faith, he was telling them they'd be able to move mountains to help others. Not help themselves. He was telling them how to get other people to the finish line, not how to get themselves there. As I focused on Lori climbing that hill, then Nicole, my focus turned to them. By celebrating their accomplishments, I suddenly felt bigger than my own disappointment, my own failure. It also made me think of all the people at the Georgia Jewel who put others before themselves. It certainly starts with the tone set by Jenny and Franklin Baker, who go out of their way to put the runners above themselves. The volunteers at the aid stations spend all day putting runners above themselves. And EVERY. SINGLE. RUNNER. I encountered this day, they put other runners above themselves. Did I Accomplish What I Set Out To Do? I set out to run my first ultra marathon. I didn't. So the answer is no. But over the years I've learned that's usually the wrong question. The right question is did I learn what God wanted me to learn, did I accomplish what HE wanted me to accomplish. ​Sometimes we measure triumph by our own standards - our own sense of victory. But God doesn't promise us the victory we're looking for, he promises us the victory he's pointing us toward. The Georgia Jewel reminded me our greatest victory is rooted in placing others before ourselves. I'll find victory in trusting God has a better plan for finishing what I couldn't. Will I go back to the Georgia Jewel and try to finish what I couldn't? I don't know. I know this. Two years ago I couldn't finish the Patrick Henry Half Marathon. Last month I ran my fastest half marathon ever at that race. This past January I couldn't finish the Houston Marathon; In response, I immediately registered to run that race again in 2019. Defeat never sits well with me. But make no mistake, even in defeat, even if I never go back to the Jewel, I am grateful for a God who saw me through the day. Oh how triumphantly he saw me through my race. the theme of this song, the story of this countdown: confidence. Confidence that a crazy idea I hatched five months ago to tackle the most difficult leg of my running journey, maybe the most physically challenging endeavor of my life, will end in victory. When I struggled through the finish of my first marathon, the lyrics "who can stop the Lord almighty" echoed in my mind. There's no doubt today it will be "I'm confident your faithfulness will see me through." "We need to feel small. We need to recognize we are part of something grander, and bridge the ever widening gap between a vague spirituality focused on the self, and Bible idolatry obsessed with a calcified point-of-view." That is my journey today. To feel small. To discover that my faith is bigger than myself, it's bigger than the words I cling to in the bible. Me and those words - we are mere reflections of the larger than life God who loves me. The God who will see me through this day, and triumphantly through this race. When we look at life through the lens of our own capabilities, through the words of promise in the bible, it can be difficult to believe everything is possible. So sometimes we need to go tackle the impossible to see just how big God is. To see and feel the true power that lives in us, and through his words. As incredible as we are, as incredible as God's words are, it's God himself who will see us through. Sometimes we have to go to the mountains to witness it. As I head off to tackle 35 miles of the Georgia Jewel today, I do it with confidence. Confidence that God will see me through. But I go also to gain confidence. When you witness the mountain-mover moving mountains first hand, it gives you confidence in this day, and the days to come. So the countdown to the Georgia Jewel is over. It's time for the ball to drop. It's time to tackle the trail. I'm grateful for all who have followed along. I'm grateful for the support and cheers and encouragement. I look forward to sharing the story of the Georgia Jewel mountain - and the day I got to watch God move it. He's the mountain mover - only he can. Click above to donate to help Giving Words help Kate. I am honored to run this race for Giving Words and my friend Kate Fletcher. 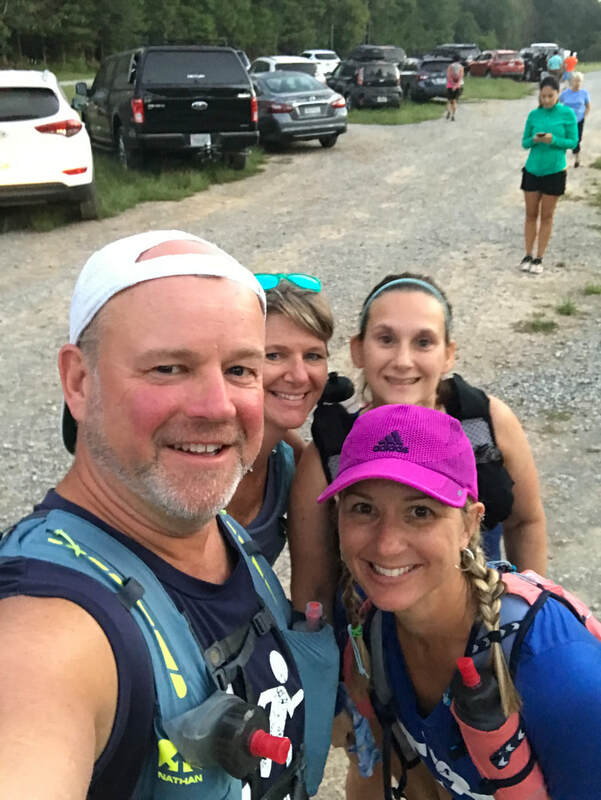 I got to know Kate when I interviewed her on my TwoTim47 podcast after she ran 100 miles to raise scholarship money for her Louisa County High students. I was taken by her heart and spirit for using running to help others. You can listen to my conversation with Kate here: High School Teacher Kate Fletcher Runs 100 Miles For Student Scholarships. ​In the interview, I had no idea Kate had needs of her own. Her humble spirit won't give things like that away. But Kate lives in a house with some significant structural challenges. So I'm partnering with my friend Eddie Brown and Giving Words to help her. I'm hoping to find 100 people to donate $35 - one dollar for each mile of that Georgia Jewel run. we build, the lives we live. If you think about it, those foundations are all about preparation. For 5 months now, since the Saturday morning I officially registered for the Georgia Jewel, I've been preparing to run this race. I've run more miles than I've ever run per month. I've attempted some difficult trail runs; five months ago I'd never run on a trail before. And I swear I should be standing on the moon after the number of steps I've climbed. My preparation leaves me feeling confident for my race tomorrow. Without the preparation, I wouldn't have much hope. If preparation is part of the building blocks in the foundation, hope stems from it. If we've prepared the foundation of our house just right, we can be hopeful our house won't sink or blow away. When we live our lives preparing the best we can for the next moment, we can be hopeful about tomorrow. Where we are today, who we are, the choices we're making and the character we're building, it's all helping identify where we'll stand tomorrow. Here's the thing, though. We can only be SO prepared. Storms come our way in life that exceed our preparation. 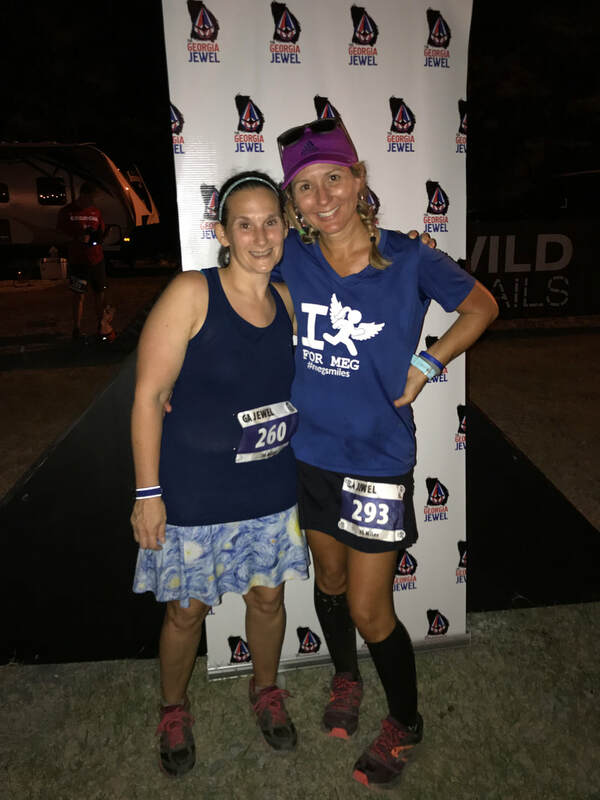 The heat is more than I bargained for in a trail race - mother nature's winds are stronger than the foundation of my house can withstand - nothing in the world can prepare me for a cancer diagnosis. The reality is, some things we just can't prepare for, but that doesn't mean the stem of hope has to wilt. In preparing for the Georgia Jewel, I've leaned on my faith in God. I've leaned on the reality that I've failed miserably in races before, and God has cultivated beauty and bigger purposes from all those failures. In life, God's taken the darkest days of my life and raised from them opportunities to know and share love that would have been impossible otherwise. God has become the one foundation on which all of my foundations in life rest; my running foundation, my house foundation and my life foundation - they all rest on the my faith in God. I have a vision for how my race will finish tomorrow. It's quite simple, really - I want to cross the finish line before the 12 hour time limit is up. I want to drive back home to Virginia telling myself over and over - I did it. That's my vision. Life doesn't always go my way, though. My faith in God says life doesn't have to go my way - and in truth - my faith says my way is very seldom the best way for life to go. I'll line up tomorrow. I'm confident. I'm prepared. I have a strong foundation built under this race. I plan to see my vision through. If for some reason I don't, I'll be disappointed. But you know what the ultimate cure for disappointment is - it's hope. No matter what happens tomorrow, the rock on which I stand, the hope that stems from it, that rock will be as solid as ever. footers were lined up perfectly square - sometimes taking hours with tape measures and stakes and strings, pointing at us to move here and then there. He'd oversee the digging of the footers and later the concrete poured to just the right depth and level. He was particular about who he hired to lay the block on that foundation, ultimately the anchor to the house. And those first boards nailed to it, well they were nailed and strapped down fast enough a nuclear blast wouldn't so much as nudge one of his houses. I worked for a boss who knew if the foundation wasn't solid, nothing built on top of it would ever survive. Running has taught me a lot about foundations. As I began to enter more races I was amazed at how strong so many runners looked. Especially the runners I compared to me. With a little digging, I discovered the big difference between them and me was what they were doing away from race days. How they trained. How they ate and drank. Even how they slept. When I looked at these runners in awe, what I was really seeing, without seeing it at all, was the hard work that had gone into getting them to race day. As I've prepared for the Georgia Jewel, where I'll be running further than I've ever run, climbing higher than I've ever climbed, I've had to do some things differently. 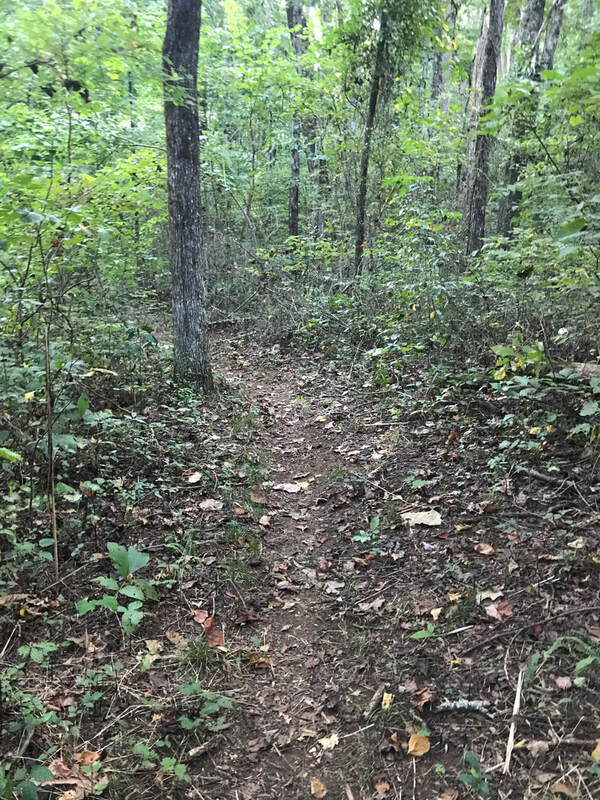 I've climbed thousands of stairs, run more monthly miles than I've ever run, and sought out trail surfaces that replicate as close as possible the Pinhoti trail that makes up the Georgia Jewel. I've known the runner who shows up to the Jewel starting line on September 22 won't be the runner who crawled out of bed that morning, but a runner built on the foundation of what happened between May and September. Life is that way as well. Driving to Georgia today I'll no doubt have interactions with people along the way. The me that greets these folks, though, won't be the me who jumped in my car and started driving this morning. The me they'll see is built on the foundation of the me I used to be. They'll see a man who's made mistakes over the years, experienced tough times as a result, and committed to learn and grow and be better in the aftermath. I'm someone who's gone from living a life built on my own understanding to a man who not only accepts, but daily begs for God's guidance. The me people see today is no longer a life built on sinking sand. In running and in life, we need solid foundations. Who we are today is a product of what we believe in and trust - whether it's God or a training plan or something else beyond us - and how hard we've worked at aligning our lives with those beliefs. If our beliefs and preparations don't go beyond ourselves - deeper than our own feelings and whims - chances are our lives are built on sinking sand. In less than 48 hours I'll line up to run the Georgia Jewel. I trust the path will be sturdy. I trust I'll encounter no sinking sand. clearly out of sorts. He tells Jesus about his ill son. The boy has a demon in him that torments him, sends him into seizures, keeps him constantly out of his mind. The upset father tells Jesus that his disciples were unable to drive the demon out of his son and he's hoping Jesus himself will handle it. Jesus did what he often did; he handled it. "Because you're not taking God seriously. The simple truth is that if you had a mere kernel of faith, a mustard seed, say, you would tell this mountain "move," and it would move. There would be nothing you wouldn't be able to tackle." Through this countdown series I've tried to make it clear my trek to the Georgia Jewel is a faith journey more than it's a running journey. In the story above from Matthew, Jesus associates faith with taking God seriously. I don't always take God seriously. Like I said yesterday, I've spent a lot of my life migrating toward circumstances that are comfortable and easy. I take on things that require me to take me seriously, not God. Sometimes when you want to strengthen your faith you have to purposely place yourself in spots where you have to take God more seriously. On Saturday, I'll be light years removed from my comfort zone. I'll be abandoning my comfortable half marathon distance for a 35 mile race. I'll take on rocky, pit-filled and uneven dirt trails, leaving behind the flat and comfortable paved surfaces of my local highways. And then there's the mountains. 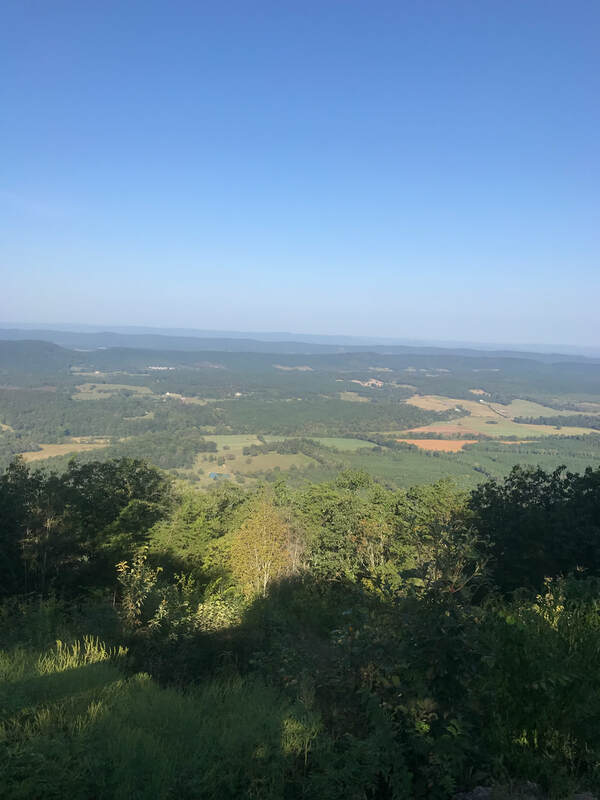 This won't be a day of strolling along the flat courses of central Virginia, but a day of making several 1000 foot climbs that will make the finish line seem states away, not miles. I used to say I love challenges. And I do. But today I'm more fond of saying I love watching God move mountains with my life. When I take things on I can do on my own, those aren't challenges. Those things bore God. But when I tackle 35 miles of some of Georgia's toughest running terrain, Georgia's mountains, God gets excited. He can feel himself getting pumped up, approaching a stage where he'll be able to shout, "watch this - I'm about to move a mountain." Saturday I'll be leaning on Matthew 17:20. When I feel the task slipping beyond my capabilities, I'll sense Jesus' frustration with his disciples. I'll hear him asking me, are you taking God seriously here? In that moment I'll be reminded that, not only am I running with some dear friends by my side, but I'm also running with the mountain-mover. to hear, but hear me out. ​Through my faith I've discovered I'm strongest when I lean on God. But I've also discovered I've spent most of my life tackling things that keep me from having to lean on God. I've preferred the safe and predictable paths. Paths that have made it easy for me to stand up and shout to the world, "I've got this." No one can stop the Lord Almighty. Since that first marathon, I've been obsessed with finding the mile 20s in my life. Moments that leave me wondering if I can go on. I look for the paths where God can stand and shout, "I've got this." I've put aside an ego that tries to tell me if it's not me it's not great, and embraced a faith that says in displaying God's greatness I'm as great as I'll ever be. That's why I'm headed to the Georgia Jewel. To show off God's greatness. After I ran a 16 mile practice run on the Georgia Jewel course a few weeks ago, one thing ran through my mind on the 8-hour drive home. As I contemplated running the 35 mile race on September 22, all I could think was, I wont win this battle with the strength in my own hands. In recognizing that, I confirmed for myself the Georgia Jewel was the perfect race for me. One more time for me to hear, who can stop the Lord Almighty. One more time for God to answer, no one. opportunity to strengthen our relationship with creation. 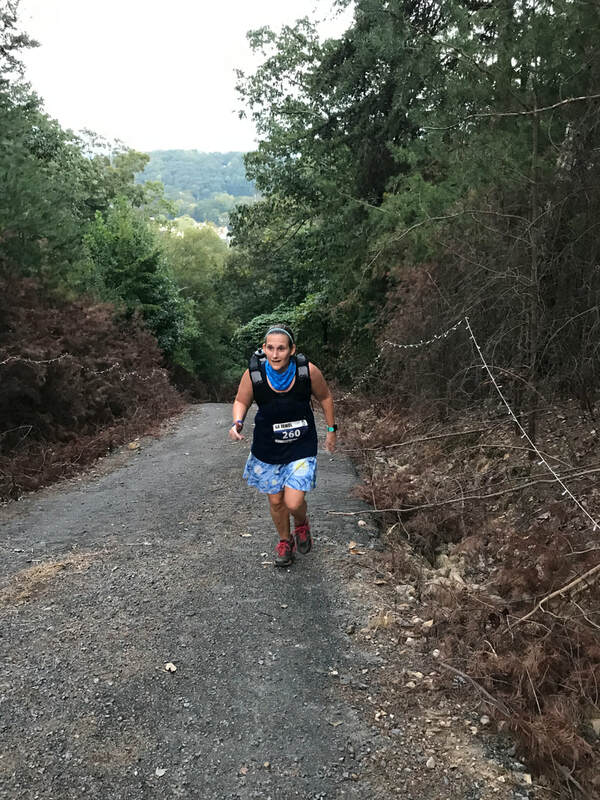 Georgia Jewel race director Jenny Baker calls the trail a place and space to truly hear God. As I've been training for this upcoming race, and spent some time on the trails, I've begun to feel some of this spiritual connection. The trails seem more determined to draw my attention to the trees that surround me, the thickness of a fog that blankets me as I navigate the rock and root covered surface, the smell of the sky - the sounds of the streams that trickle worlds away from anyone's notice but mine. In a world that too often seems focused on the hope of some distant and eternal day, the trail's offered a slice of heaven in the here and now. In running and in life, it's easy to lose sight of the here and now. Running points us to the finish line of some distant race, like the Georgia Jewel. Life points us to the finish line of who we are and dream of being, like the CEO of our own company, a retirement home on the beach - or maybe heaven. We live so many days banking on a future reward. We sink our energy into dreams that can only come true tomorrow - never today. We cling to a mantra that insists every future day can surely be better than this one. I'm not opposed to dreams or hope or preparing for a hard earned reward. Not until, that is, we drop our heads and plow forward with such dogged determination that we fail to lift our heads and experience the life we have right now. As a Christian, I often say one of the big mistakes we make is believing heaven is some distant and untouchable place and time. It's a belief that robs us of the possibility of experiencing heaven today. To me heaven is peace, breath taking beauty, a community that looks for goodness in one another - not fault and blame. It's a place where we discover we are and always will be enough, a place where I have your back isn't a friendly phrase but a God who loves me. I have to admit, in my time on the trail so far, I've experienced a lot of that heaven. I've felt all along God was pointing me to the Georgia Jewel for a reason. I'm beginning to thing it's to raise my head so I can see all of heaven surrounding me. simply where you're internal compass naturally points, I think we both find ourselves constantly trying to wrestle joy away from the hands of hardship. Whether we believe we were made for it or that we simply long for it, life is about finding the joy. Nowhere has that been more true in my life than in my running journey. When I started down this road 5 years ago, every step was hard. Whether I ran 50 yards or 2 miles, my focus was on finding a good reason to keep going, not joy. My lungs felt like someone had set an automobile on top of them, my legs like out of control wildfires, my feet like blister farms. And this was somehow supposed to add value to my life? In the heart of those runs I usually felt like death would add more value to my life. "I hate running, but I love being done with running." What that saying boiled down to was a celebration of survival. Like saying I hate getting in car crashes but love the feeling of knowing I can survive one. The day came, though, when all that changed. I found myself saying I love running, that there was joy in the act of running worth pursuing as much as the joy at the finish line. It's crazy to think about it now, but the joy was actually found in the process of the reconciling and wrestling. I discovered if you wait for having cars on your lungs and fires in your legs to feel like joy, you're going to be waiting a long time. There's a lot of circumstances in life where joy doesn't knock on your door, so you have to go beat its door down. I discovered that more than an emotion, joy is a thought process. A way of looking at things. God, through running, has taught me believing in Him, following his will for my life, doesn't come with a bottle of fairy dust I can sprinkle on myself every time I need a shot of joy in my life. What it does come with is a mind that can be renewed in any and every situation. A mind that has the capacity to say this is pain and hardship, but there's joy to be found in here somewhere. For me, in running and in life, the joy is usually found when I walk away from my pursuit of joy and walk toward gratitude. Where's the gratitude in the middle of a run when death feels imminent? Ironically it's found in life itself. It's found in knowing I'm running when others can't. It's found in feeling the hands of life stirring me inside in a way sitting on a couch never could. It's found in discovering I have personal strengths and capabilities to offer this life I never would have thought about exploring if it wasn't for running. Joy is found in discovering life has a voice. A voice that wants to whisper me through pain to joy, a voice I never hear louder than I hear it in the middle of trials. Trials in life. Trials in running. It's a voice that loves me enough to bring joy to my mourning. Next Saturday, there will be trials along that 35 miles of the Georgia Jewel. At times the only joy imaginable will be that finish line. The thought of being done. Dear Lord just let me be done. Those thoughts will be reminders. Reminders to wrestle joy away from the hardship. To point my mind toward gratitude and away from the trials. To listen to that voice of life that wants to whisper joy into my mourning. escape them. Sometimes the enemy is a person. Sometimes a thought. In running, the enemy is almost always a thought: 35 miles is too far to run, the mountain is too high to climb, you're too old, you're too heavy, leave running to a real runner. The running enemy stops at nothing to prevent us from discovering what running so desperately wants us to learn - that all enemies in life are there by invitation. The opposite of inviting could be scattering. I can count the number of times I've been tackling a running challenge and wished I could scatter the voices in my head telling me I'm pursuing the impossible. I've discovered I don't have great scattering powers. Fortunately, though, God does. As running has become more of a spiritual journey to me, I've gotten better at telling God what the enemy is saying to me. His response might surprise you; he laughs. When I tell God the enemy says I can't run 35 miles, he laughs. I tell him the mountain is too high, he laughs. I'm too old - he roars with laughter. He laughs because he knows what I'm capable of and finds it a bit silly a voice can convince me otherwise. He laughs because he wants the voice to know there's more power in a laugh than in a lie. When these enemies come into our lives, and we feed them and nurture them and make them feel like they can be a part of our lives, they indeed become a part of our lives. They move in, kick back and make entertainment out of taunting our ambitions. God's seen this trick a million times. He's seen it in you and me and every other life he's trying to propel to a greater purpose. You know who else has seen it? The enemy. He knows God's will for greatness is no match for his meaningless voice of doubt. So when God shows up, catches a glimpse of the enemy up to his same old tired tricks, and then God laughs - the enemy scatters. When I'm out tackling the 35 mile Georgia Jewel next Saturday, two folks are going to insist on tagging along. The enemy, and God. It will be up to me who I invite in. I think I'll invite God in, then if the enemy does happen to come knocking, God and I can both get a good laugh out of it. With every moment left, with every borrowed breath, let this be true, that all my heart, for all my life, belongs to you. the things I took on in life differently. I started believing I was created to shape a world in the image of the God I love, and therefore my life should be lived in a way that reflects His idea of a good world and not my idea of a good life. ​When I started this running journey, even though I was running to honor a young woman in our community, it soon became all about me. I loved the attention I got for tackling my longest and fastest runs ever. I loved the feeling of accomplishment I felt when I did. I got high on success, a high I hadn't felt since high school. Then one day I asked myself what I was running for. Was I trying to get healthy, lose a few pounds, become a world champion marathoner? The answer was, I had no idea. I was sinking a lot of time and heart and energy into running, yet I had no idea what I ultimately wanted to get out of it. I knew the outcome was I felt good, but had no idea what purpose the good feelings served. When we continue doing something in life for the sole purpose of feeling good, that's a self-centered activity. I'm not suggesting that feeling good is a bad thing, but I've lived long enough to know that a life of feeling good can, without much warning, become more desirable than living a life of doing good. That's when I started opening my ears to God. I started asking him what he wanted me to do with this running journey, and tried to follow his whispers. I began to see my life as God's investment in the world. My life is borrowed from him for a purpose, and that purpose wasn't going to reveal itself in my pleasure, but in his word. For my first marathon, I carried this scripture on my back: I have fought the good fight, I have finished the race, I have kept the faith. That has become my running mantra. It's become my life mantra. With every breath God has given me, with every moment I have left, I want to fight with everything I have for the good in this life, I want to help people finish whatever races they are up against, and through it all, I want to keep leaning on my faith. I want to lean on God's purpose, and not my own pleasures and desires. That's why, when I run this Georgia Jewel a week from tomorrow, I'll be running for a particular cause. You can read more about it below. But God has spent the last year leading me to this race so God can help Giving Words and Kate Fletcher. It's been a long and challenging journey to get here, it will be even more challenging next Saturday, but I have no doubt I've arrived here following more of God's whispers than I have chasing my own pleasures. Here's the cool thing, though. As fulfilling as it was getting caught up in the attention, as high as I felt on success, it doesn't compare to the joy I've found using this running journey to honor God's purpose for my life. There is unparalleled joy that comes with giving all my heart and all my life and yes, all my miles, to Him.